I buy this from a Greek pastry store. I usually get this at a Greek Pastry store. Mix and add more or less for your desired consistency. Get all the ingredients ready and measured. Get your muffin tin ready and add the muffin papers. In a bowl add the dry ingredients. Flour, baking powder, salt, sugar mastixa powder and the zest of two oranges. In a pot, warm up the milk with the vanilla pod scrapings and the mahleb. You can also add the vanilla pod skin. After you warm it up strain it. Let it cool. Once it is cool add the butter, egg and orange juice in the milk and mix. Add the liquid to the dry ingredients and mix. Fill the muffin papers and bake for 25 min. 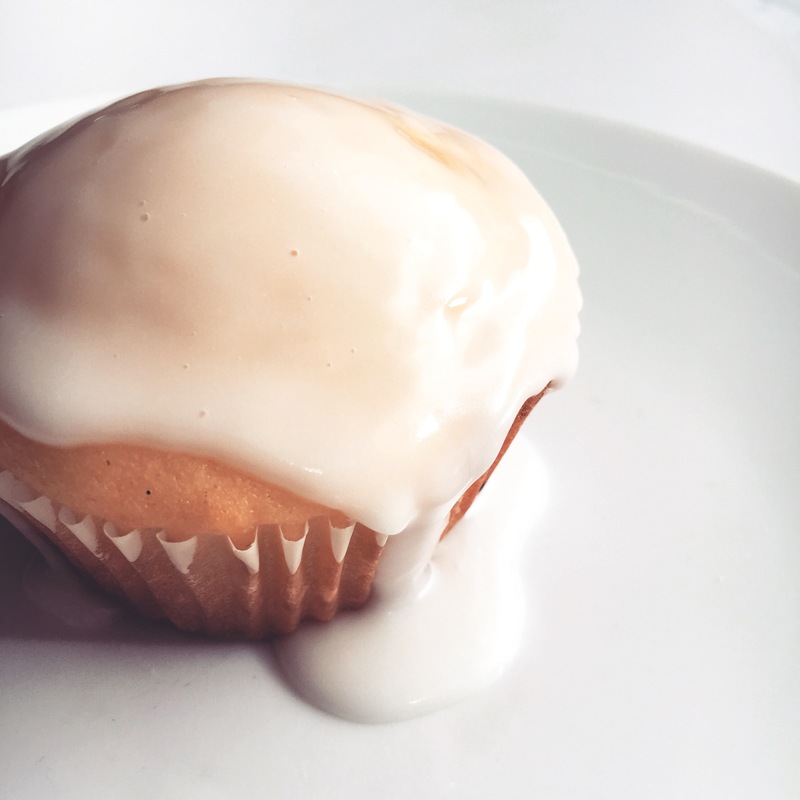 Let them cool and Drizzle the Icing on top. *YOU DON’T HAVE TO USE THE 2 GREEK INGREDIENTS MAHLEB & MASTIC. I tested the recipe without them and with the coconut oil and it turned out perfect! If you make these I would love to see pictures and let me know how you like them! TWEET ME! Thank you all so much and have a beautiful weekend! These look and sound so delicious. That picture is beautiful! Thank you so so much! I appreciate it!